It's been a week after I came back to Wellington. 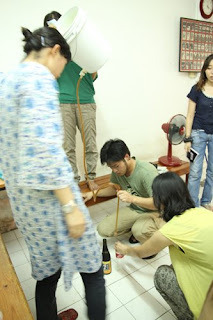 I ran a workshop and brewed Amber Ale while I was in Bangkok. I think it was quite a challenging experience I did in Thailand as well as eating ants egg and baby buffalo's eye ball. I had fun on brew day meeting new people who's interested in getting into beer brewing or craft beers and cooking with Sam. The beer was fermenting in the room with the air-con on 24 7 to keep the room 20℃. Before I head up to Chang Mai around 7th March, a homebrewer I met, Brian kindly offered me to store the fermenter in his new temperature controlled fridge. 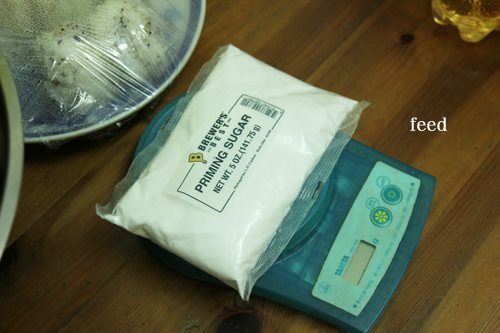 The beer was fermenting nicely while I was eating exotic food in Chang Mai and up until 17th. 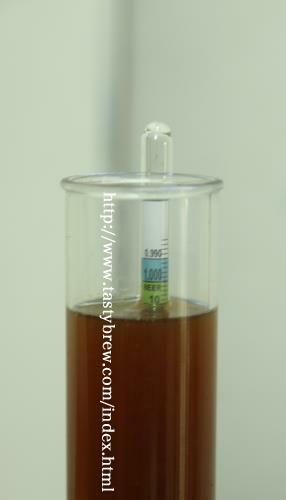 On 12th March, just before I went to Singapore I dropped by Brian's and dry hopped the beer with 50gram Galaxy hops. The beer was smelling good, already by then. 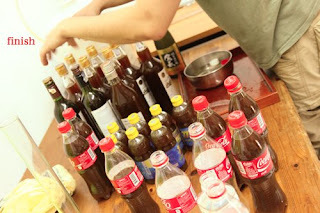 After drinking good beers in Singapore, there was the last part of brew workshop, bottling session on Saturday, 17th March. 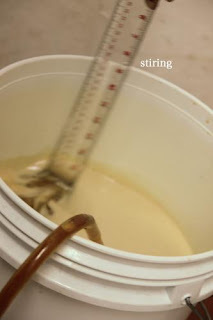 I was thinking about bottling the beers in the glass bottles and cap them using the bottling tool, but it will make the brewing difficulty higher for them. 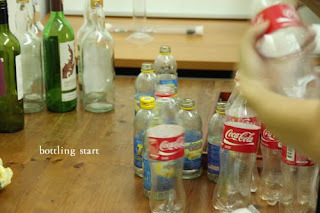 They cannot get the bottling tool in Bangkok unless they order from overseas. We used Coke bottle after all. Stirred the priming sugar in the bottling bucket using a ruler...... a part of EPIC brewing BKK! It was just brutal after all. 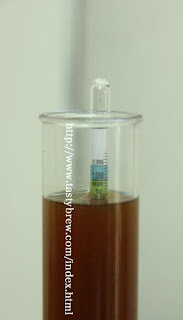 I thank to NZ having many homebrew suppliers. I wish the people who came to the workshop good luck with their beer brewing.